After roasting butternut squash yesterday to flavor a fromage blanc spread, I came up with a another dish where this method would be applicable. 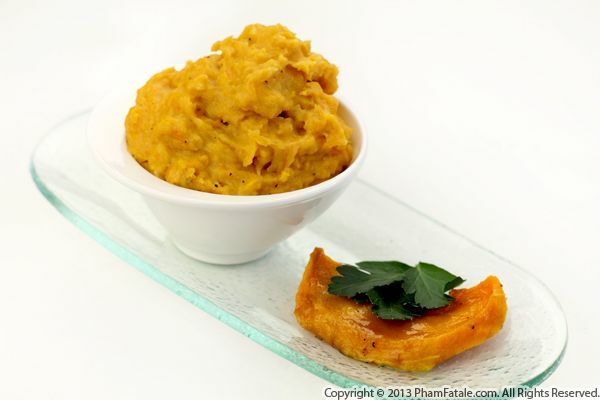 I mixed the roasted butternut squash into a simple potato mash. The subtle sweetness, the color; everything about this side dish screams Thanksgiving. If you're planning a potato feast for Thanksgiving, I strongly suggest (shameless plug) that you try recipes from my first cookbook, Haute Potato. You'll find all sorts of dishes ranging from luxurious lobster chowder, delicious samosas to gourmet potato desserts. If you order it on Amazon or Barnes and Noble now, it should arrive before the holiday! When I was first offered the Haute Potato project a year ago, I was asked to come up with 75 gourmet potato dishes. On that very same day, I probably already had hundreds of recipes lined up in my head. I tried featuring potato dishes from around the world, but as you can imagine, a lot were left out of the final product. So today here's a potato dish that would have been in the "Spicy" chapter. I learned this dish from Mina, my husband's cousin. It's called "Taj kebab" and if you like meat and potato as much as I do, you will love this one. 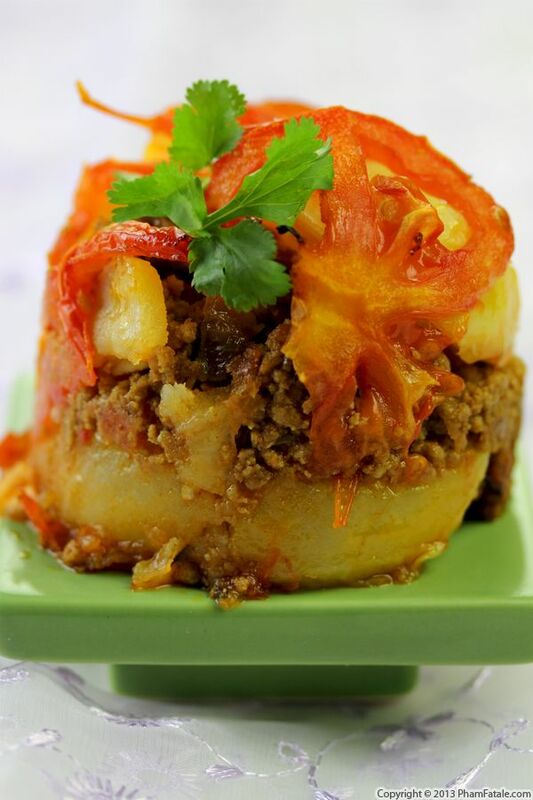 This potato dish consists of layers of spiced ground beef, sliced potatoes, and thick fresh tomato slices. 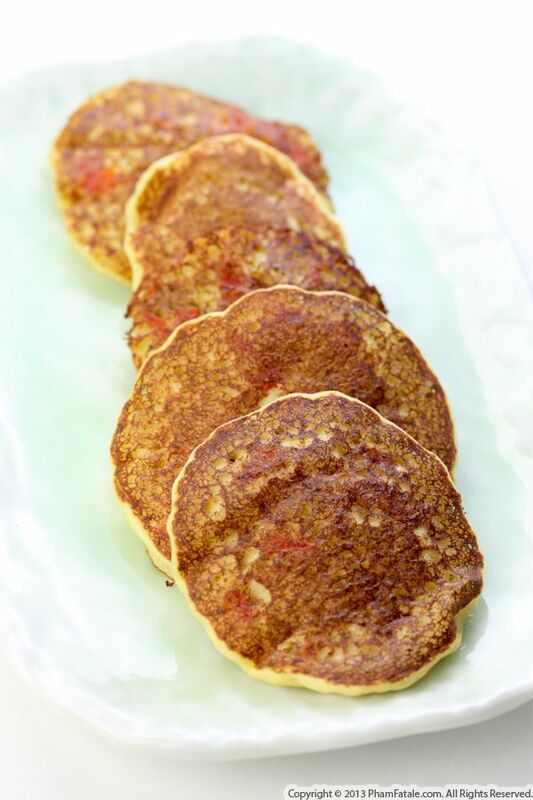 The recipe was developed in Agra, just where the Taj Mahal is, and it will transport you to one of the seven wonders of the world! If you love aloo gobi, which is an Indian potato (aloo) and cauliflower (gobi) dish, I'm confident that you will adore this Indian-inspired savory tart. 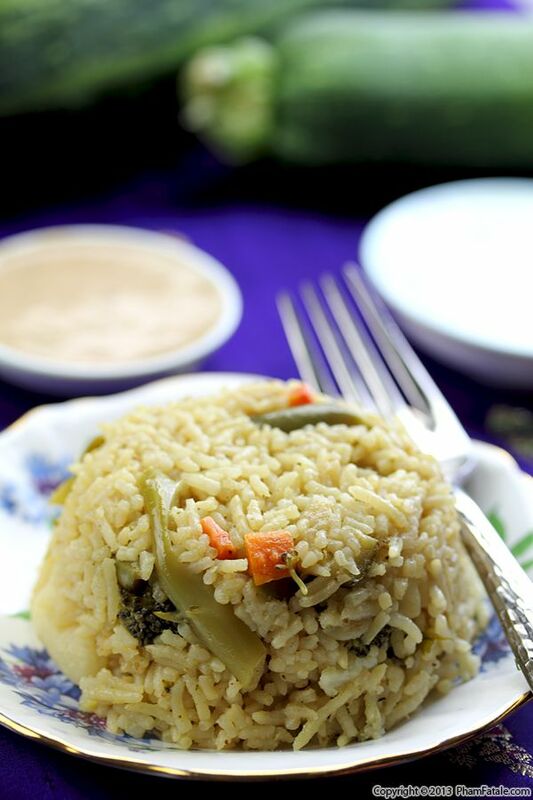 When I first got married, my husband's grandmother taught me a lot of Indian dishes. The traditional dishes on their own are great, but I also enjoy playing around with them, and incorporating elements into French dishes. I find that the aesthetics of French cuisine works very well with the bold flavors of Indian food. 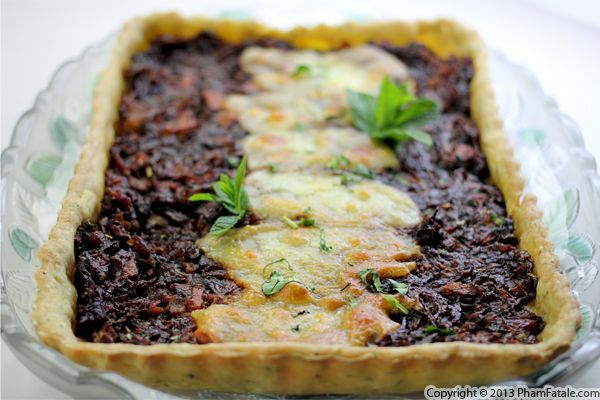 This particular recipe combines a French onion tart with my twist on the aforementioned aloo gobi. I created a homemade fine-herb tart shell and filled the bottom with onion compote topped with a flavorful Indian cauliflower and sweet potato preparation. The two elements are connected by the natural sweetness of the onions and sweet potatoes. A little Munster cheese on top finishes the dish, though you can substitute with any mild, melt-able cheese. Page 12 of 14 pages.